Nothing beats the Texas heat like a refreshing dip in cool water. 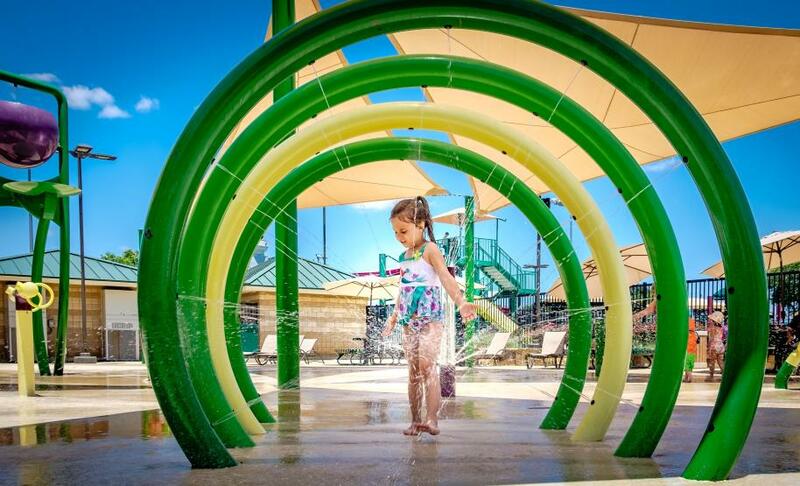 Grapevine has plenty of options for you and your family to cool down so grab the sunblock, a towel and your favorite swim trunks. 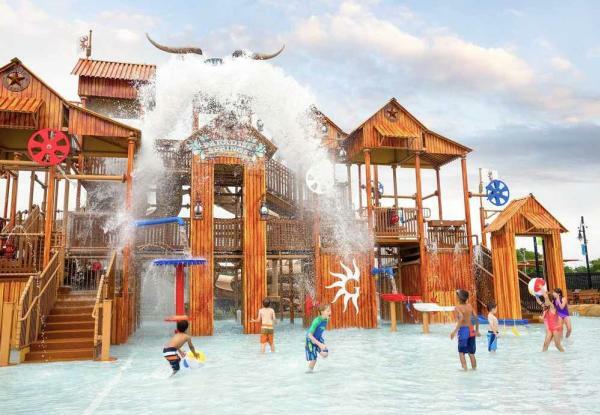 Home to Great Wolf Lodge, Paradise Springs at Gaylord Texan Resort, LEGOLAND® Discovery Center&apos;s Pirate Beach, Lake Grapevine and more, there is something for every age and budget. Great Wolf Lodge - Experience water fun at Great Wolf Lodge’s 80,000-square-foot waterpark, the largest indoor waterpark in North Texas. This guest-only waterpark includes the Coyote Cannon, a 40-foot-drop into the water and the Howlin’ Tornado, a six-story funnel ride in a raft built for four that ends in quite a splash. Catch a wave in the tidal pool and float in the lazy river. There are zero entry pools and smaller slides for the little tykes and a relaxing hot springs and cabanas for the adults. Then, have a great time hanging around the Howlers’ Peak Ropes Course. 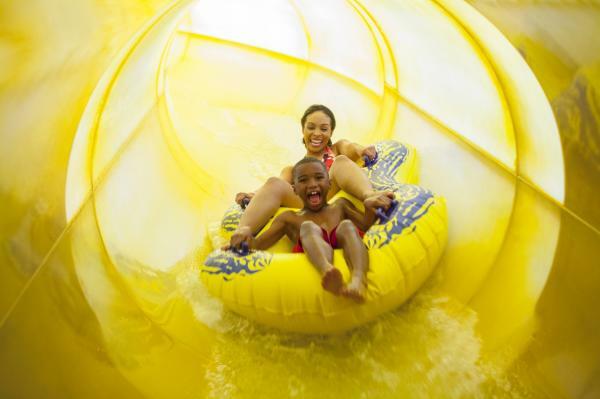 Paradise Springs at Gaylord Texan Resort - When you’re ready for some fun in the sun, book a room at Gaylord Texan Resort and head to the 10-acre Paradise Springs, reserved for resort guests. 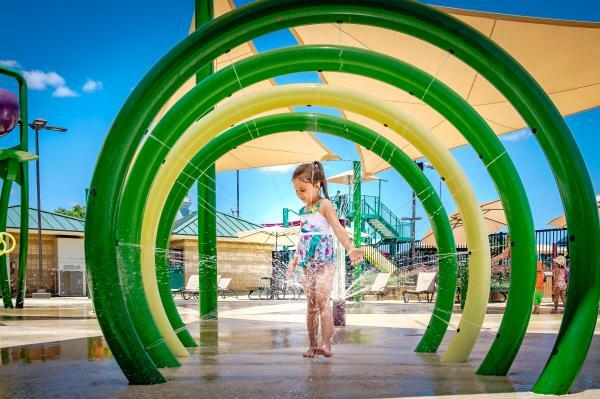 The outdoor waterpark features a 600-foot winding lazy river, 6,000-square-foot family lagoon, 27-foot waterslide, zip line and a Texas-themed multi-level water play structure with winding waterslides. Fresh from a recent $5 million expansion, the resort’s pool complex is sure to please all summer long — there are even private cabanas and a dedicated toddler pool. Plus every Friday through Sunday from Memorial Day Weekend through Labor Day Weekend, overnight guests can enjoy the Aquafina® Splash Party with a live DJ, hair-braiders, a glitter and airbrush tattoo artist and games. 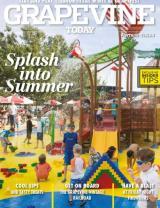 Pirate Beach at LEGOLAND® Discovery Center - Kids can soak up some fun at LEGOLAND® Discovery Center’s Pirate Beach. The shipwrecked pirate vessel playground includes water jets, fountains, squirt cannons and water slides—all pumping and spraying thousands of gallons of water. But stay alert! Looming at the top of the 20-foot-tall mast is a 50-gallon bucket of water that’s ready to come pouring down at any moment. Build with soft LEGO® bricks while playing amongst LEGO models of pirates, treasures chests and palm trees. 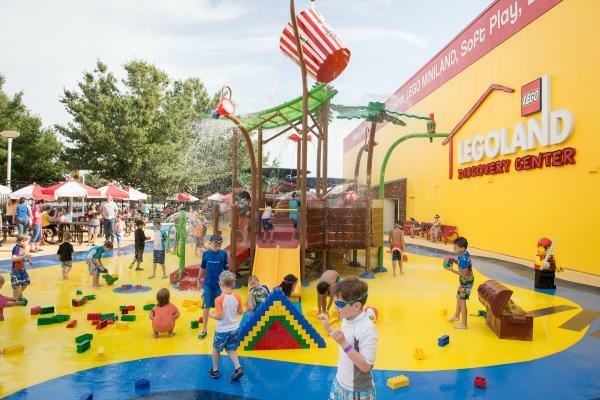 LEGOLAND Discovery Center’s Pirate Beach is included in the price of admission. 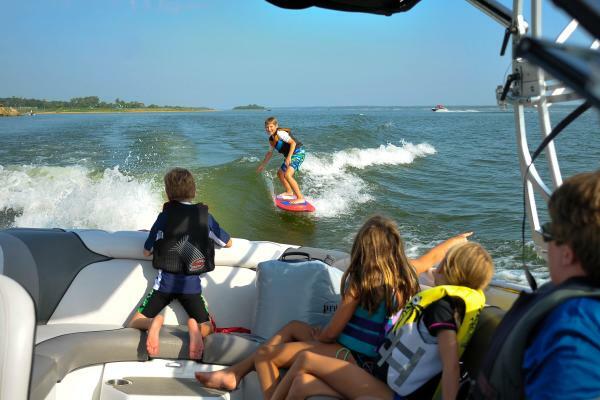 Lake Grapevine - Head to Lake Grapevine for 8,000 acres of outdoor recreation fun. Sail away on a local charter with Black Watch Sailing Charters or Lake Grapevine Cruises. Feeling adventurous? Rent a kayak, paddleboard or wakeboard by the hour or for the whole day. Offering two marinas for boaters, Lake Grapevine is the place to explore the great outdoors whether you’re boating, water-skiing, wind surfing or fishing. Fishing enthusiasts can look forward to reeling in largemouth bass, spotted bass, white bass, white crappie and channel catfish. For those who prefer to stay on dry land, enjoy paved and natural trails by foot or bicycle, which can be rented at Grapevine Bike Center or Mad Duck Cyclery. Campgrounds are available for rent as well. Dove Waterpark - Dive into the shimmering clear water at this gorgeous waterpark perfect for all ages. Dove Waterpark offers two slides, a diving board, a lily pad crossing, a climbing wall and a dedicated children’s area with zero depth entry, perfect for the littlest of swimmers. After splashing around, you can enjoy a tasty summer treat from the concession stand. Admission is $2 for residents and $5 for visitors.